Inconel belongs to superalloys family of austenitic nickel-chromium alloy. Inconel Sheets & Plates have advantages like being oxidation and corrosion resistant, suitable for high-temperature activities, better durability, etc. Upon facing extreme heating conditions, Inconel forms a thick and stable passivating oxide layer, so as to protect the surface from any further attacks. They are used in gas turbine blades, combustors, turbocharger rotors and seals, heat exchangers, etc. 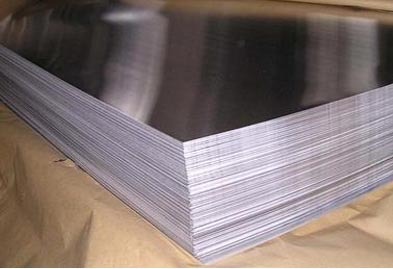 Inconel Hot Rolled Sheets & Plates exhibit high strength because of the stiffening effect of molybdenum and niobium on its surface. During hot rolling, various sub-processes like work hardening, dynamic recovery, and dynamic re-crystallization occurs in the metal. Inconel Cold Rolled Sheets & Plates are created by passing the sheets or plates under compression between the rollers. They have a better surface finish, smooth surfaces, well-defined edges, and corners, etc. Inconel Galvanized Sheets can be created by hot-dip galvanization process to ensure that it never breaks, shrinks, or cracks. They also have superior resistivity towards abrasion, wear, rust, and corrosion. 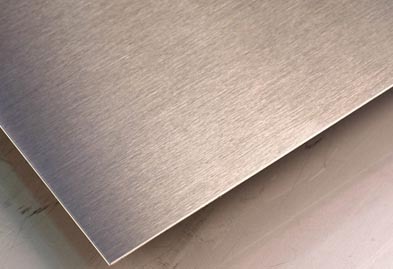 Inconel Polished Plates have the primary advantage of being extremely corrosion resistant. Other advantages include better cryogenic toughness, ductility, hot strength, higher work hardening rate, and much more. Inconel perforated sheets are made from high-strength nickel-chromium alloy grades like Inconel 600, 601, 625, and 718, These, are put to use in chemical industries, heat exchangers, marine engineering, pollution-control equipment, aerospace, and nuclear reactors. Inconel Chequered Plates provides excellent resistance to crevice corrosion and pitting cracking caused by chlorides. The addition of niobium provides these with outstanding strength and toughness. We deliver all sort of Inconel sheets and plates products with the various range of sizes, wall thickness, and dimensions to cater all needs of industries at most competitive prices. Kindly get in touch with us today to request a free quote! Jaydeep Steels stocks a wide range of materials and grades. Below are a list of all standard inconel sheets and plates materials and grades we stock. Our experienced team of metal experts will get you the metal you need when you need it. Call us today for your Inconel Sheet & Plate Needs!